This site had previously had several planning applications for residential development refused. Constraints included difficult access, a number of Tree Protection Orders and the risk of overlooking from neighbouring properties, however there was clear demand for residential care in the area. 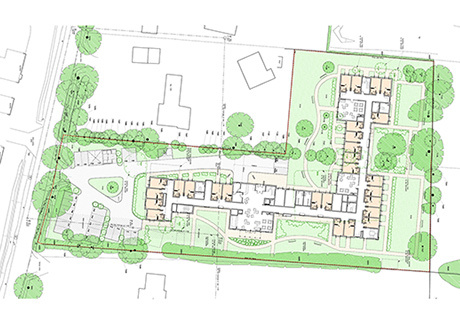 In close consultation with Suffolk Coastal District Council planning officers, we developed a scheme to ensure that all their potential concerns were addressed and received planning permission at the first attempt. The client subsequently sold the site to a care home operator.